Costco Wholesale Corporation’s case shows that the business continues to grow and expand. The company now has operations in overseas locations, such as Taiwan. The firm is among the biggest retail organizations in the world today. As a retail firm, Costco depends on consumer purchasing capacities. Consumer perceptions also have a significant impact because competition is high in the retail market. Competition from firms like Walmart is especially notable. 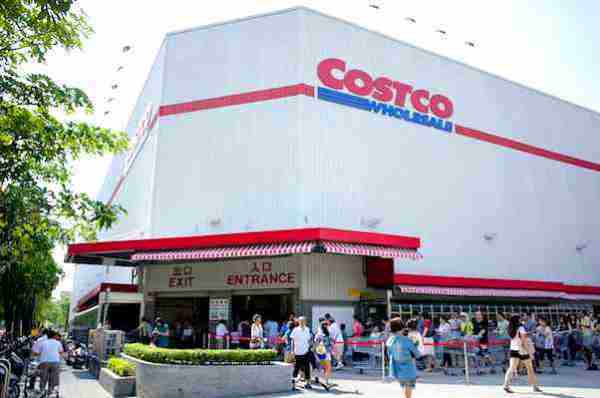 Costco must maintain competitive advantage to ensure long-term viability. At present, the ability of this company to continue growing and expanding is based on its affordable quality goods and services. Costco Wholesale uses its business model to follow its mission statement. However, the internal analysis elements (strengths and weaknesses) and external analysis elements (opportunities and threats) show that Costco’s managers must formulate new strategies for sustained growth and development of the firm. Mission. Costco’s mission is “to continually provide members with quality goods and services at the lowest possible prices.” This mission statement is directly linked to its business model and strategy. The firm’s mission emphasizes quality and cost leadership, which are factors consumers usually look for in the retail market. Thus, the mission statement guides actions that contribute to Costco’s competitive advantage. Business model. Costco uses a membership-only warehouse club business model. In this model, consumers pay a membership fee to access the low-cost products available at Costco stores. Non-members may accompany members, but only members are allowed to purchase in these stores. However, non-members can use Costco Cash Cards to shop at the company’s stores. Competitors Sam’s Club and BJ’s Wholesale Club also use the same business model. Strategy. Costco’s generic strategy is cost leadership. This strategy entails maintaining the lowest prices possible. Retail giants like Walmart also use the cost leadership strategy. Costco’s strategy also combines the membership warehouse club business model to differentiate it from other retail firms. The company’s business model is a core factor that enables Costco to follow its mission. In fact, this business model aligns with the company’s mission. The generic strategy of cost leadership also agrees with and is needed to sustain Costco’s business model. The company has very attractive low prices on practically every good or service offered in its stores and on its website. Costco has rapid inventory turnover combined with high sales volume, contributing to higher revenues. The high sales volume ensures high revenues in spite of low selling prices. The high sales volume contributes to high operating efficiency. Higher operating efficiency is achieved through minimization of variable costs. Variable costs are lower when volumes are higher. Costco’s main weakness is the membership-only warehouse club retail business model. This model encourages customers to buy at Costco stores, but also limits the total number of customers. Non-member consumers might feel unwelcome at Costco stores. The company has the weakness of the limited array of goods and services. Customers might go to other retailers like Walmart, which has a wider array of goods and services. The company has the opportunity to enter new markets, such as markets in developing Asian countries. Costco has the opportunity to expand the coverage of its e-commerce websites. The company currently offers online services to the United States, Canada, United Kingdom, Australia, Mexico, Taiwan, South Korea, Japan, and Spain. The company also has the opportunity to increase the variety of its goods and services to improve the attractiveness of Costco stores to a more diverse population of consumers. The entry of new membership warehouse club retail companies threatens Costco’s potential to succeed in overseas markets. In overseas markets, new membership warehouse clubs are opening. The aggressive marketing of other retail firms also threatens Costco. Costco Wholesale Corporation is a highly viable business. The business has the essential strengths to take advantage of opportunities in the retail industry. The firm’s low prices make it attractive even during times of economic difficulties. The company has opportunities to address threats to its long-term viability. The firm could use its website and its network of suppliers to compete against new membership warehouse club retail companies. Costco is expected to continue to grow in the years to come. Expansion in overseas markets could also further boost the company’s success. Cascio, W. F. (2006). Decency means more than “Always low prices”: A comparison of Costco to Wal-Mart’s Sam’s Club. The Academy of Management Perspectives, 20(3), 26-37. Costco Wholesale Corporation. The Costco Story. Courtemanche, C., & Carden, A. (2014). Competing with Costco and Sam’s Club: warehouse club entry and grocery prices. Southern Economic Journal,80(3), 565-585. Greenhouse, S. (2005, July 17). How Costco Became the Anti-Wal-Mart. The New York Times. U.S. Bureau of Labor Statistics. Industries at a Glance: Retail Trade. U.S. Census Bureau. Guide to Data Sources for Retail Trade from the U.S. Census Bureau. U.S. Securities and Exchange Commission. Subsidiaries of the company: Costco Wholesale Corporation subsidiaries. USDA Economic Research Service. New Directions in Global Food Markets.